The extraordinary design of the Catalina Rhinestone Set will make it your number one choice for a party or a date. 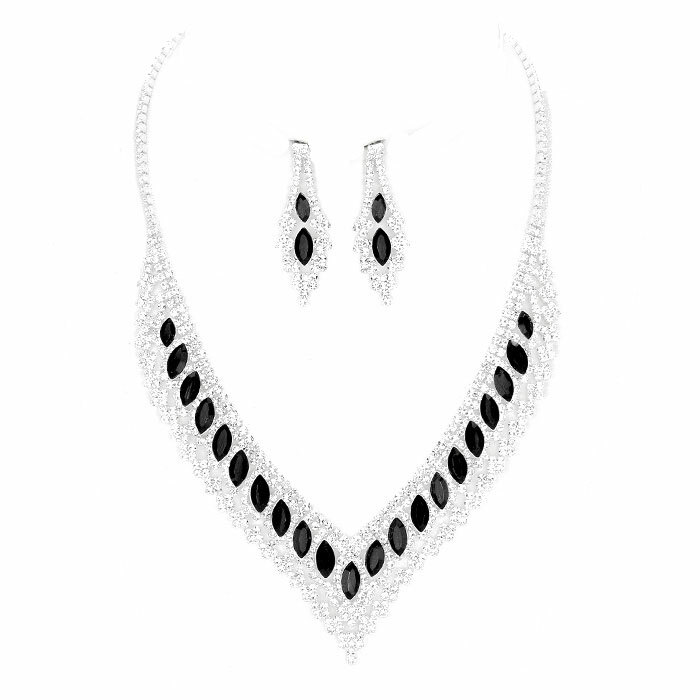 With regal styled, silver-tone metal, encrusted rhinestones and beautiful black teardrop crystals this matching necklace and earring set will make you the belle of the ball. If you love to shine like a diamond make Oz Bling your one stop online shop for all styles, fun, formal, chic and unique!.